I mentioned last Friday that I was throwing a baby shower for my sister last weekend. 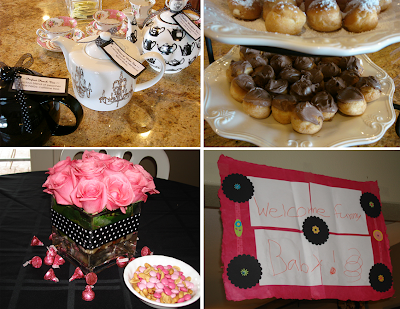 The theme was "An Afternoon Tea," and the color scheme was hot pink, black and white. 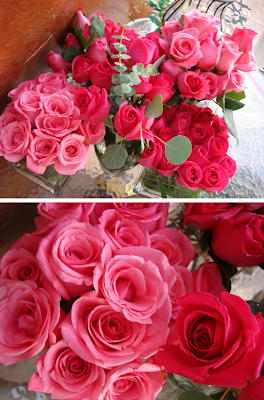 I scored the most amazing roses at Costco, the day before the shower! 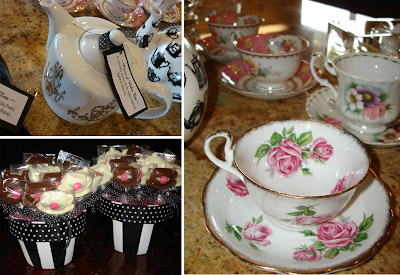 We served tea in my grandmother's antique bone china - she'd be so happy to know we used her beautiful china; my mother-in-law made the adorable chocolate teacup & teapot favors...I painted the flower pots and wrapped them with ribbon to display the treats. (From top left): we served several different teas, each pot labeled with a description of the tea flavor; yummy cream puffs covered in chocolate and powdered sugar; one of my floral centerpieces along side a bowl of M&M's and peanuts (as requested by my very pregnant sister); an adorable sign created by my 8-year old niece and big-sister-to-be, which reads "Welcome funny Baby!" 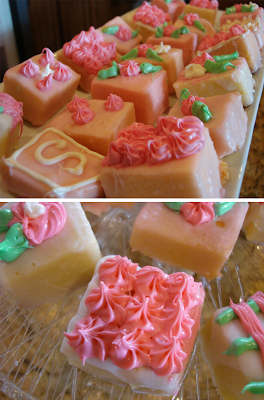 Petit fours that my mom and I made together - we were so proud of ourselves :) We actually sliced up butter pound cake, covered the cubes with homemade frosting and then I decorated them with regular cake frosting in pastry bags. So easy and really tasty! what a display! it truly looks as if it was catered, you guys all did a fablous job! her eyes must have popped out of her head at the sight of everything. glad to hear it was fun for all. i'm with you on the do nothing this weekend, well at least on sunday, the shop is open sat. but sunday i'll rest! enjoy! What a fabulous Tea Party. Great job Jules!! Yummy! It's beautiful! 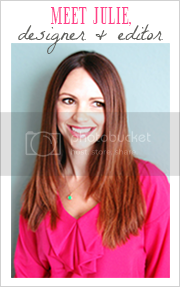 I wanted to invite you to my FREE prize giveaway on my blog! so sweet , soooo lady like. 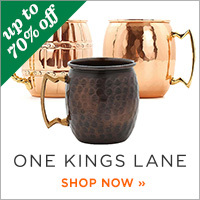 this is just so fun and fantastic and beautiful!!! well done, and congratulations on it being such a big success. wheeee!!!! 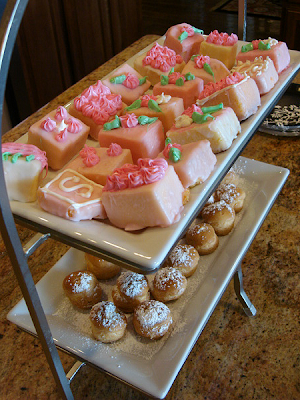 I can't believe those petit fours are made just with pound cake. Genius! wow, you did a fantastic job! beautiful down to every little detail. Oh my goodness! 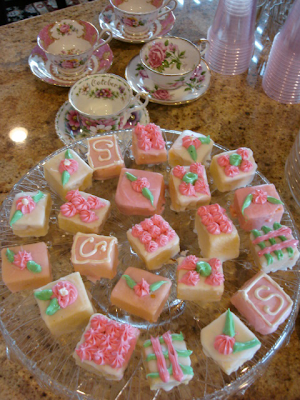 This looks like such an amazing shindig--those treats are giving me a major sweet tooth right now. The combination of pink m&m's and peanuts sounds DIVINE! Those roses are gorgeous! 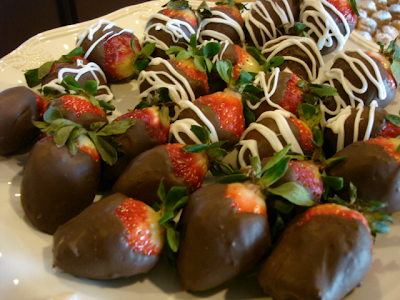 Not to mention the food looks delicious :) Your sister is lucky to have you!